There is still time to register for May art classes at the Berkeley Art Works. Beginning Watercolor Painting is offered on Tuesdays from 1-4pm starting May 5. This is a class for those with little or no experience in painting with watercolors, but who want to learn starting with the most essential basics and developing skills leading to accomplishing good watercolor painting techniques. This class takes all the mystery and fear out of the process and shows the student of any level of expertise how to be successful in this beautiful process. Mixed Media with Water Based Paint is offered on Fridays from 1-4pm starting May 8. Art students of all levels will enjoy this class designed to expand one’s ability to express one’s self beyond the ordinary. Starting with either water color or acrylic paint bases, participants will develop paintings using a variety of other media such as pastels, colored pencils, crayons, ink, markers, etc. There will also be exploration into applying various collage materials to the art pieces. This will be a good time for participants to unleash their inner free spirit and explore new opportunities for their art. Unlocking the Mysteries of Shading and Shadows is a one day Saturday workshop on May 9 from 1-4pm. Properly shading objects to make them look 3 dimensional and creating shadows that enhance the painting can be difficult to achieve. This workshop quickly presents the practical solutions to these processes to help the student achieve success immediately. Theories apply to all mediums. Classes are held at the Berkeley Art Works, 116 North Queen Street in Martinsburg. The Berkeley Art Works at 116 North Queen Street in Martinsburg will offer All Media Open Studio with Jean Kellogg on Wednesdays from 1-4pm during the month of May. 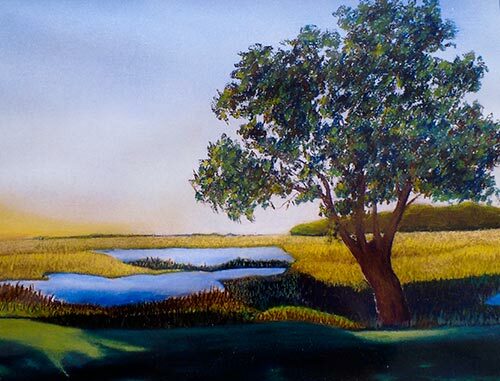 Whether you’re working in watercolor, acrylics, pastels, oil, or some combination, artists of all skill levels are invited to come in and enjoy a social and collaborative atmosphere where you can strengthen your skills or try new ideas or techniques with one of our experienced instructors available to provide individualized coaching and guidance. Jean Kellogg is an award-winning regional fine and commercial artist, art instructor for arts organizations, and for county and state continuing education programs; also an illustrator, writer and artisan. She works in a wide variety of media, such as charcoal, oil & acrylic paints, and mixed media. 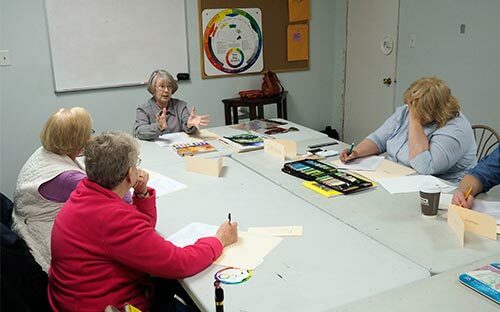 While this is not a formal instruction program, it’s a great opportunity to continue to practice what you have learned in other classes, revitalize those rusty skills, get some help with a stubborn composition, or just take the time for yourself to focus on your artwork with fewer distractions and some expert advice! Tuition is $80 for the four three-hour sessions. For details and online registration, visit http://artworks.berkeleyartswv.org/openstudio/. The Berkeley Arts Council announces three new art classes for May to be presented at the Berkeley Art Works, 116 North Queen Street in downtown Martinsburg. May classes will be taught by Judith Becker, a juried artist with dual degrees in design and education. For novices, Becker will present “Beginning Watercolor Painting” on a series of four Tuesday afternoons, May 5, 12, 19 and 26, 1:00 – 4:00 p.m.
Two additional classes are designed for students working at all skill levels. “Mixed Media with Water Based Paint” is designed to expand one’s ability to express one’s self beyond the ordinary. 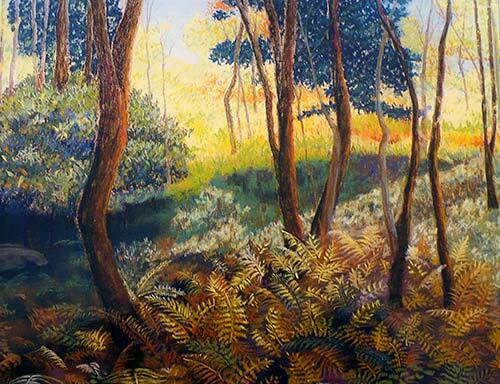 The series will be held on Fridays, May 8, 15, 22 and 29, 1:00 – 4:00 p.m.
“Unlocking the Mysteries of Shading and Shadows,” a one-day class open to students using any medium, will take place on Saturday, May 9, 1:00 – 4:00 p.m.
As previously announced, Judith Becker will lead a special spring class, “Capturing the Beauty of Trees,” on Saturday, April 18, from 1:00 – 4:00 p.m. Celebrate the season by learning to capture the colors, shades, textures and open spaces of different trees. Details and registration information is on the web at http://artworks.berkeleyartswv.org/instruction/. The Berkeley Arts Council offers an afternoon workshop, “Capturing the Beauty of Trees,” on Saturday, April 18. Under the guidance of instructor Judith Becker participants will learn and practice the essentials, using whatever type of art materials they are comfortable with. The “Capturing the Beauty of Trees” workshop will be held on Saturday, April 18, 1:00 – 4:00 p.m., at Berkeley Art Works, 116 North Queen Street in downtown Martinsburg. Tuition is $45; pre-registration is required. Space is still available but limited. For more information and to pre-register, visit http://www.berkeleyartswv.org/artworks/instruction/.